Share Your CIRCA 1880 CLUB Picture, Like Karen Did! An impressive sight! Many of the shop’s members sent them in by mail for trading. How is your club progressing? Remember that your participating quilt shop can enter our video contest, to complete for the grand prize — a trunk show visit from Pam Buda, or one of two other great quilt shop prizes — have your shop look into the details! 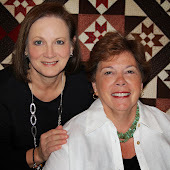 Congratulations to Paula Barnes and Mary Ellen Robison on the release of their latest book, Step Back in Time (Martingale). 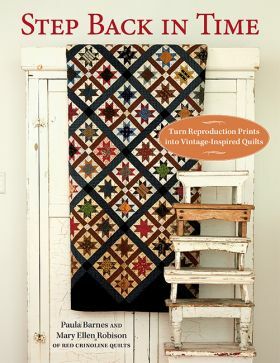 Reproduction-fabric collectors and antique quilt lovers alike will love this the much-anticipated follow-up to Tributes and Treasures! 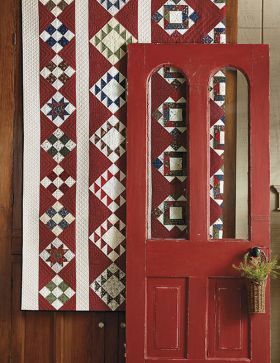 The Red Crinoline Quilts design duo presents an all-new, jaw-dropping collection of 13 of their vintage-inspiredquilt patterns. 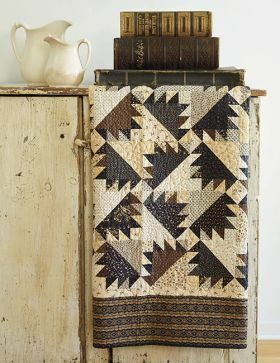 Each quilt design is paired with a fascinating historical account from the 1800s. More than 70 beautiful photos capture the style and sentiment of this unique era in American quilting history. Look for the book at your local quilt shop, or visit Martingale. HOLIDAY 2019 – We officially welcomed Vicki McCarty to our designer family at Quilt Market in Houston, and her debut collection PATCHES OF JOY is already a hit! It features her “Patch-It” panel (27″ x 44″) of classic Christmas motifs perfect for all types of embellishment, or used just as they are. The patchwork layout designed to be cut apart as well so you can create a variety of projects from just one panel, also plain or embellished. Vicki’s four coordinating creative strips are comprised of 5″ wide printed across the width. The collection was inspired by her popular Calico Christmas Stitch-A-Long. Quilt Market Happens Just DAYS From Now! —NEW BOM and CLUB PROGRAMS from your favorite designers, including Pam Buda, Sheryl Johnson, Krisann Watkins, Nancy Rink and Sarah Maxwell. —CREATIVE DEMOS by Sarah Maxwell, PLUS… Sarah and Nancy Rink will discuss and SNEAK-PEEK their upcoming Quilt-along, “Mix It Up”! Safe travels, everyone — We’ll see you soon! We’ll be shipping Annette’s copy of the book and Pam’s Prairie Basics & Shirtings precuts immediately after Quilt Market. Thanks sew much to everyone who commented on our Pam Buda blog post! You shared some great ideas for using Marcus Fabrics 10″ precuts, and of course, your love for Pam is stronger than ever! Just wait until you see her next project – it’s a 12-month Club concept that begins in January. Stay tuned for updates, and until then, keep creating! Win FADE OUT NOW: Enter the Okan Arts Giveaway! It seems FADE OUT is becoming the new favorite background of quilters everywhere! Designed by Laura Berringer for Studio 37 Fabrics, it’s a perfect mix of subtle patterning and contemporary neutral color. Okan Arts has embraced the collection along with everyone else, and they’ve paired these prints with Aurifil threads to create a great giveaway! 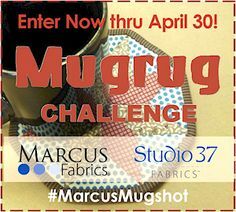 Check out their blog post to enter now thru midnight Pacific Time on April 30, 2018. Thanks to Okan Arts for partnering with us and Aurifil! And if you love these, watch for the debut of FADE IN, also by Laura Berringer! Victoria Findlay Wolfe describes her PARTS DEPT. BATIKS as having an artistic use of negative space in the designs. “Graphic, fun rock-and-roll style prints…Edgy, yet they play well with others. Classic dots and Crisp whites.” Her Star Storm pattern and kit (lower left) are available online. 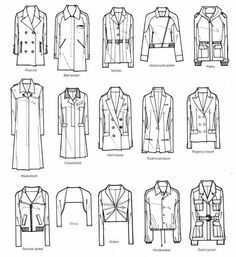 Graphic, contrasting patterns that vary in scale from large to small. 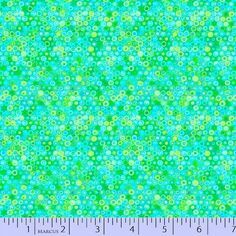 The fabric is nice and soft and smooth, very easy to work with in quilts and garments. They are hand printed and the hand of the maker shows in the imperfections that add character to the cloth.” You’ll find Kim’s IMBUE quilt patterns, Robie and Sonia online.